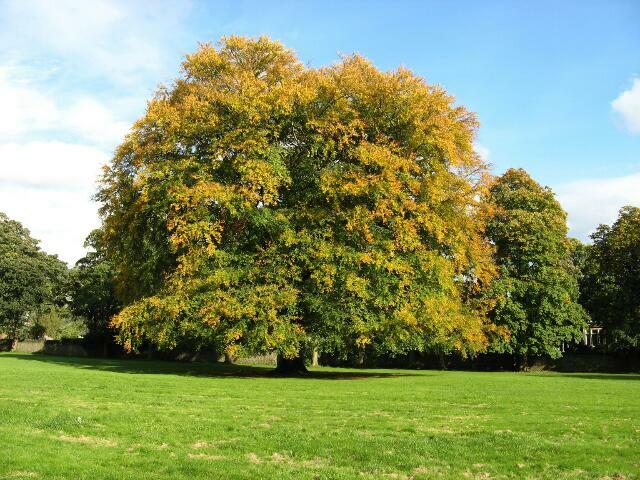 Throughout living memory, one of the most well known and well loved landmarks in Cliffe Castle Park has been the ancient and truly enormous beech tree in the lower field. 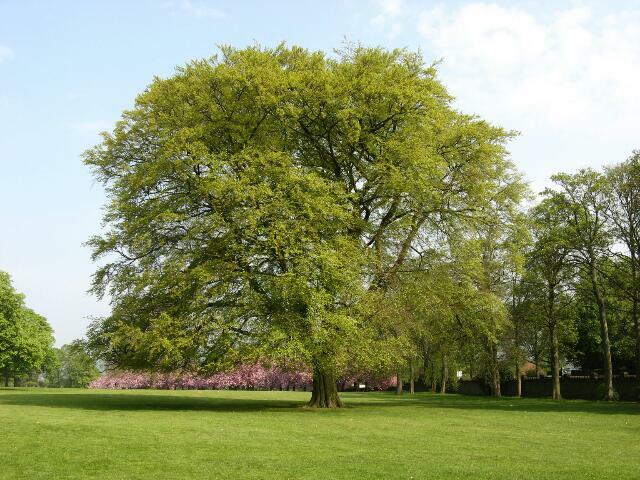 It stood alone and magnificent; without competition from other trees nearby it had room to grow to its full potential and acheived a size and shape that was something to marvel at. It was beautiful in every season. 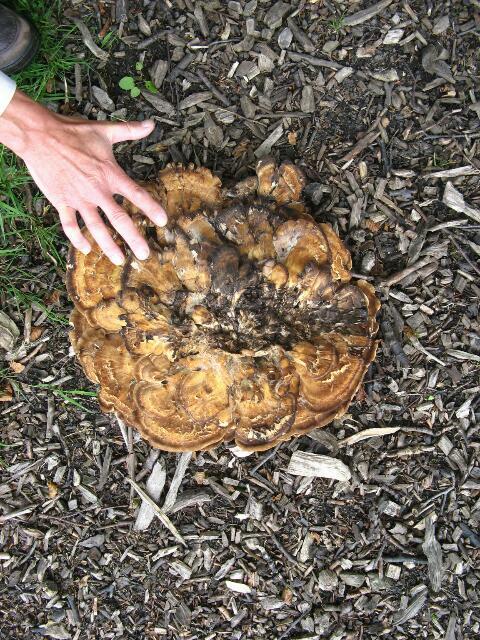 Sadly the tree had been struggling in recent years and had reached the point where it was in danger of collapse, and with a tree of this size even falling branches can be dangerous; each massive branch was as big as a sizeable tree. 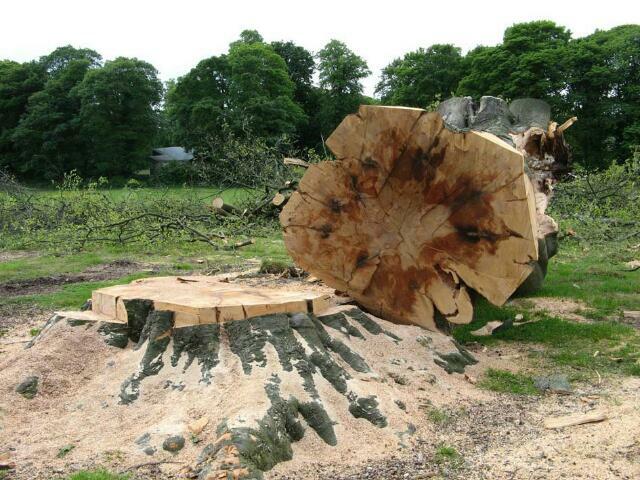 Last week it finally had to be felled. The tree was in danger, and potentially a danger to anyone passing by. 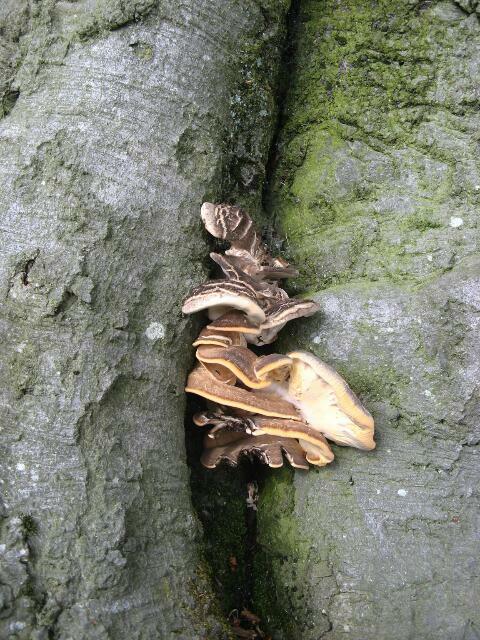 The cause of its failure was probably the fungus Meripilus gigantes, a parasite of beech trees that makes the top of the tree slowly thin out until finally it can’t sustain itself and will start to collapse. 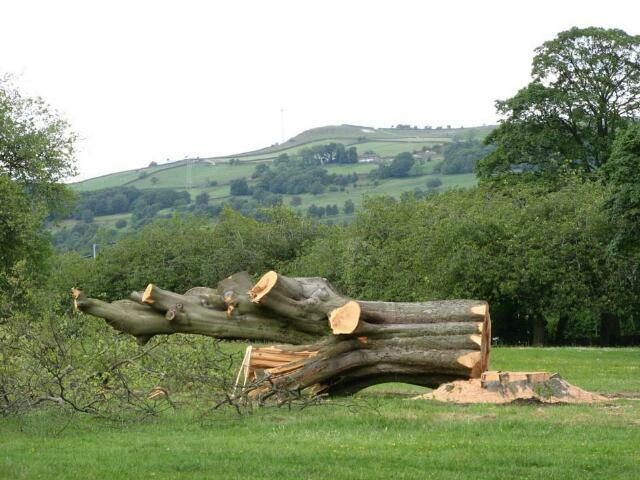 Unfortunately I was away from Keighley at the time this happened – if I’d been there I’d have been sketching the whole process of felling – but this is an important event to record. 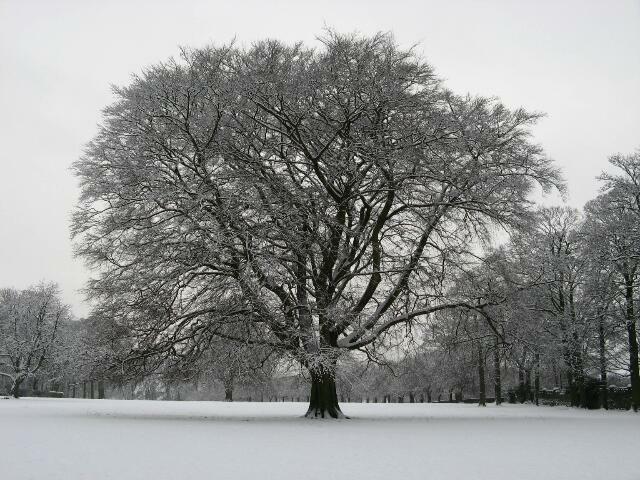 It’s important to say our goodbyes and remember an old friend, so this has had to be a photographic rather than a sketched account – and it’s good to have a few pictures of the tree in all its glory at healthier times. 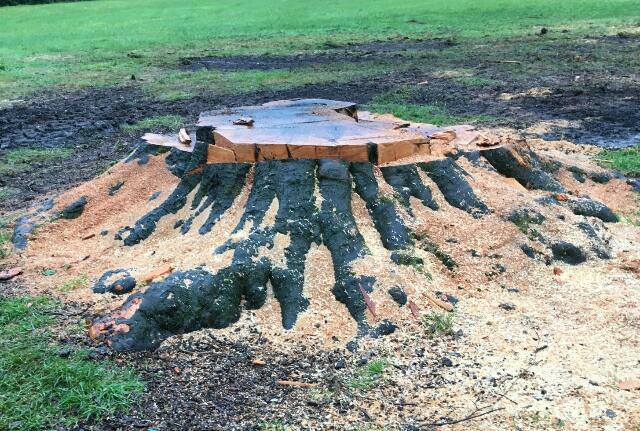 Some of the timber has been saved, (a cross-section of the bole will be particularly interesting and hopefully may be displayed somewhere in the park or museum) and it may be possible to use some of the wood in a creative commemorative way – but all this is for the future. 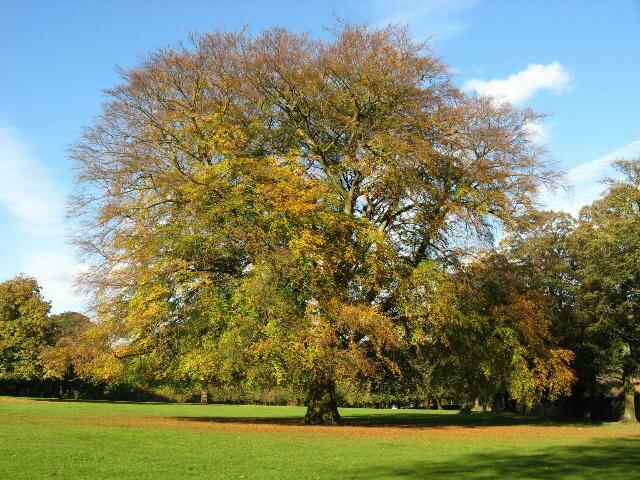 For now, it’s time to celebrate this wonderful tree and treasure our memories. 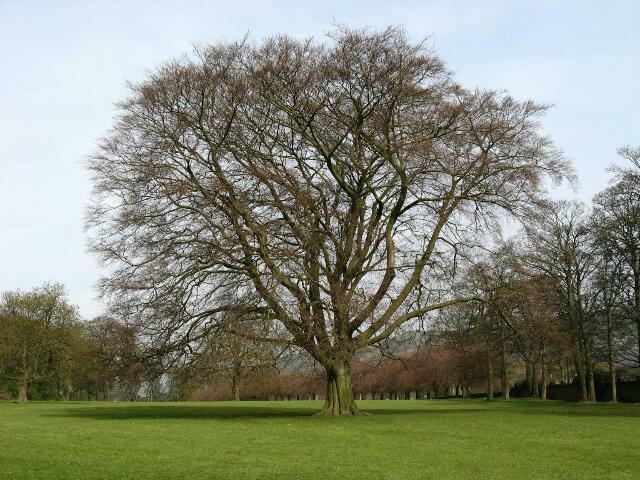 Do you have pictures or memories of the beech tree you’d like to share? Let me know in the comments section below!